Just 10 days after three space station fliers returned to Earth — and two days after launch of a station-bound supply ship — a veteran four-flight cosmonaut and an enthusiastic NASA rookie were cleared for launch Thursday to boost the lab’s crew up to five — one less than usual because of cost cutting by the Russian space agency. Soyuz MS-04 commander Fyodor Yurchikhin and flight engineer Jack Fischer are scheduled for blastoff from Yuri Gagarin’s launch pad at the Baikonur Cosmodrome in Kazakhstan at 3:13:44 a.m. EDT (GMT-4; 1:13 p.m. local time), climbing directly into the plane of the station’s orbit for a six-hour, four-orbit rendezvous. If all goes well, Yurchikhin and Fischer will monitor an automated approach to the space station, moving in for docking at the upper Poisk module around 9:23 a.m. Standing by to welcome them aboard will be Expedition 51 commander Peggy Whitson, European Space Agency astronaut Thomas Pesquet and Soyuz MS-03 commander Oleg Novitskiy. Soyuz spacecraft normally carry three crew members at a time to the station, but Roscosmos, the Russian federal space agency, recently opted to reduce its crew complement by one, and to cut back the number of Progress supply ships needed, in a bid to save money in the near term. As a result, the MS-04 spacecraft will be launching with an empty seat and will carry additional supplies instead. But that seat will not be empty when Yurchikhin and Fischer return to Earth Sept. 3 to close out a planned 135-day mission. Whitson, who launched with Novitskiy and Pesquet in the Soyuz MS-03 spacecraft last Nov. 17, will remain in orbit when her crewmates return to Earth June 2 and will join Yurchikhin and Fischer for the trip home in September. Extending Whitson’s mission ensures two U.S. astronauts will be aboard the station this summer when otherwise only one — Fischer — would have been available, keeping U.S. research on track and protecting the option for a contingency spacewalk if problems crop up on the U.S. segment of the station. Yurchikhin, a 58-year-old father of two who holds a Ph.D. in economics, is a former test pilot and veteran of four earlier space flights, one aboard a space shuttle and three long-duration stays aboard the station. With a combined 537 days in orbit, he is one of the world’s most experienced space fliers. 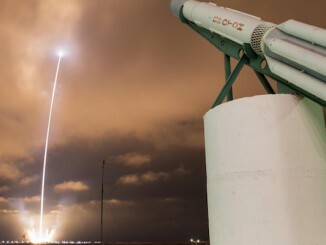 Fischer, 43, is an Air Force colonel and former test pilot with a master’s degree in aeronautics and astronautics from the Massachusetts Institute of Technology. A father of two teenage girls who frequently refers to his wife Elizabeth as “a smokin’ hot blonde chick,” Fischer flew F-15E fighters during two combat tours in Afghanistan and Iraq. He later attended Air Force Test Pilot School at Edwards Air Force Base, Calif., and eventually helped put the F-22 Raptor through its paces. With more than 3,000 hours flying time, Fischer will serve as Yurchikhin’s flight engineer during launch and landing, a daunting task given the need to be fluent in Russian. Their daughters, Sariah and Bethany, both made it to Baikonur for the launch. Have a day off & found a hot blonde (my wife) to hang w/ in a hotel by Red Square–what a view, & what an awesome chick! Doing a vacuum chamber run in a spacewalking suit–wicked cool. Having a smokin’ hot blonde chick stop by (my wife)–priceless. 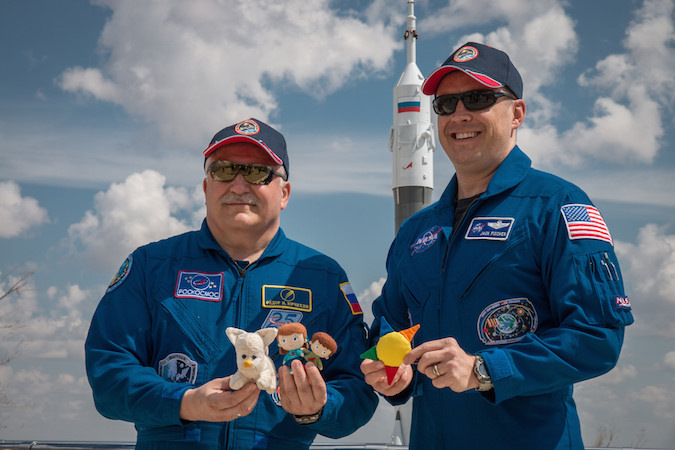 During the climb to space, cosmonauts typically choose a mascot, a small stuffed toy, that hangs from the control panel by a string to serve as a low-tech indicator of weightlessness after launch. For this flight, Fischer is carrying up a stitched star for daughter Bethany, who is a cancer survivor. 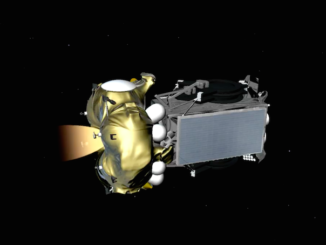 This is only the second flight of a Soyuz rocket since Dec. 1 when problems with a turbopump in the booster’s third stage triggered the destruction of a Progress cargo ship. 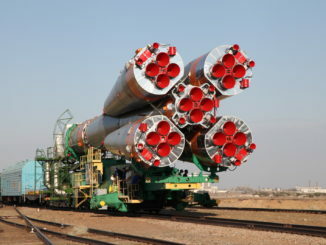 Russian engineers traced the problem to possible contamination and replaced the engines in downstream rockets. 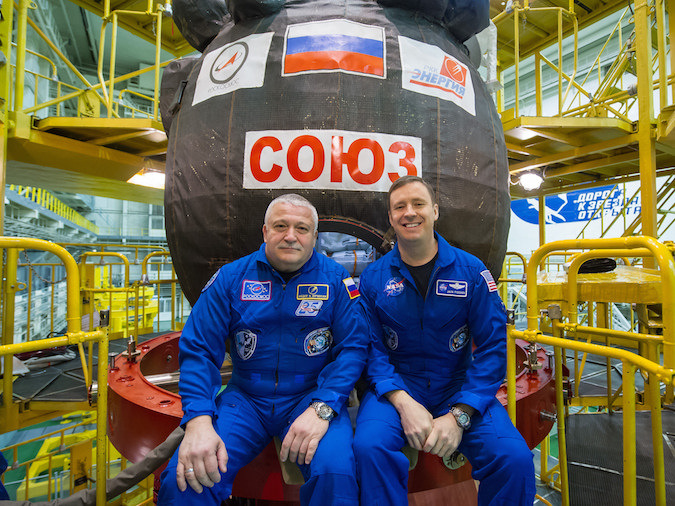 A Progress was successfully launched Feb. 22, but the Soyuz MS-04 launch will be the first flight of the re-engined rocket with a crew on board. Fischer said he was satisfied the rocket is safe to fly. He especially looks forward to working with Whitson, the most experienced female spacewalker, with more than 53 hours of EVA time over eight excursions. 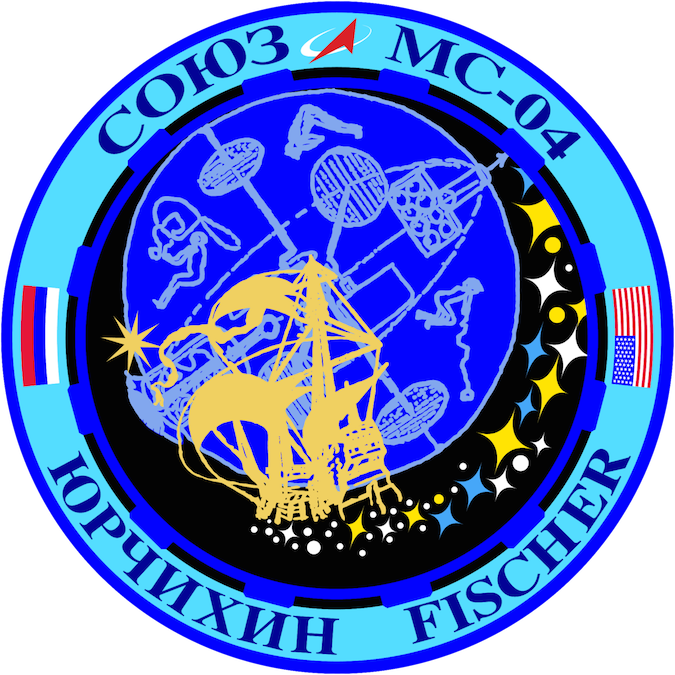 Four days after Fischer’s arrival at the station, Whitson will become America’s most experienced astronaut with more than 534 days in space over three missions. When she returns to Earth Sept. 3, she will have logged a cumulative 666 days off the planet, moving her up to eighth in the world, one spot behind Yurchikhin, who will have logged 672 days aloft over five missions. In an earlier interview with the Boulder, Colo., Daily Camera, Fischer described Whitson, who holds a doctorate in biochemistry, as “a space ninja.” And, of course, awesome. In that same interview, he said one of his challenges will be using and maintaining the station’s toilet. “Unlike most things, you just can’t train for that on the ground — so I approach my space-toilet activities with respect, preparation and a healthy dose of sheer terror,” he joked. Yurchikhin and Fischer will get to the station two days after launch of an Orbital ATK Cygnus cargo ship carrying more than 7,600 pounds of equipment and supplies. If all goes well, the Cygnus will pull up to within about 30 feet of the station early Saturday and then stand by while Whitson and Pesquet, operating the lab’s robot arm, lock onto a grapple fixture. From there, flight controllers at the Johnson Space Center in Houston will pull the spacecraft in for berthing at the Earth-facing port of the central Unity module. On May 12, Whitson and Fischer plan to carry out a spacewalk that originally was planned earlier this year to replace an external computer, install a high-definition camera on the station’s power truss, attach micrometeoroid shielding to a docking port and help engineers troubleshoot cooling issues with a high-energy physics experiment. Before Fischer knew he would get to go outside, he said spacewalking was his No. 1 goal. A SpaceX Dragon cargo ship is expected to arrive in early June, just after the Soyuz MS-03 spacecraft carries Novitskiy and Pesquet back to Earth on June 2. At that point, Yurchikhin will take over as commander of Expedition 52. Another Progress is set for launch June 14. 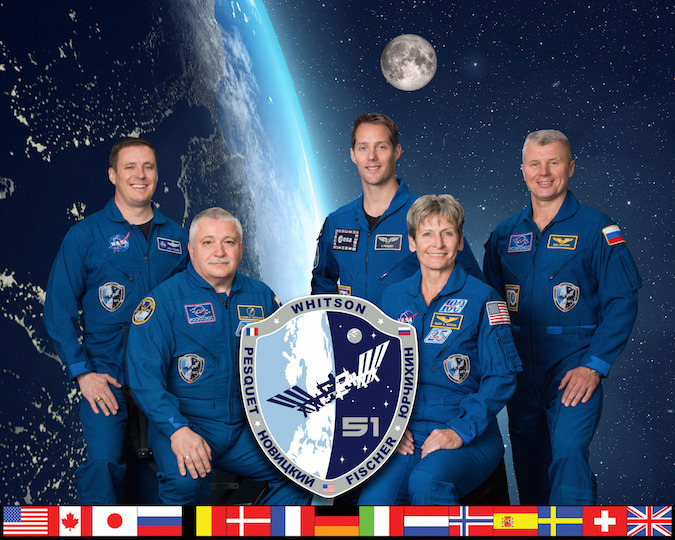 Whitson, Yurchikhin and Fischer will continue on their own until July 28 when three fresh crew members will arrive: Soyuz MS-05 commander Sergey Ryazanskiy, Randy Bresnik and European Space Agency astronaut Paolo Nespoli. Yurchikhin expects to participate in a Russian spacewalk with Ryazanskiy in August. Asked what else he looked forward to the most, Fischer smiled broadly. And, in general, enjoy the experience of living in weightlessness 250 miles up, experiencing 16 sunrises and sunsets a day as the lab hurtles through space at five miles per second.